Lazy Jojo is an online company whose sneakers will sneak right into your closet — and they’ll even let you customise your pair! Need a comfy pair of shoes? Looking for a pair of kicks to up your cool quotient? These bright, young, fun (and super comfortable!) 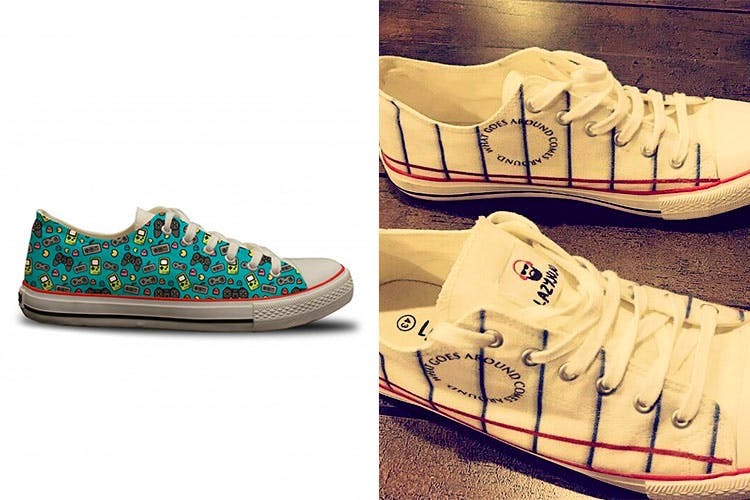 canvas sneakers from Lazy Jojo. It’s really simple. All you have to do is head on over to their website, find a pair of sneakers you like, pick a print that you would like to rock and then wait for it to be delivered to your doorstep. Bollywood, floral, doodles and patterns, travel, high life, music, superheroes and cartoons: you name it, they have it. You can pick either a high ankle or a low-ankly depending on what you prefer. We’re all about the Game Of Thrones Collection (which you can find here), some of these pairs are also on sale. Don’t like any of the prints on offer? Customise your pair of sneakers from scratch for just INR 1,999. Most of the sneakers hover around the INR 1,700 range but if you’re lucky, you could grab a pair on sale for just INR 1,000.